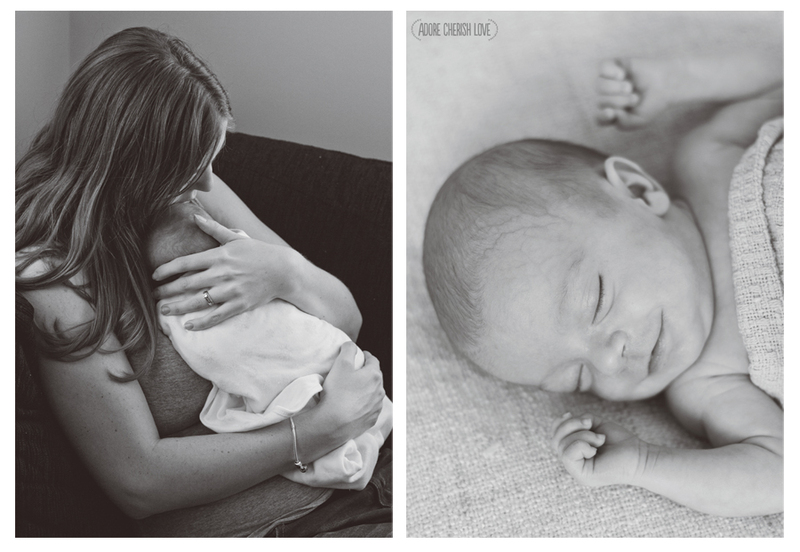 Long before Lilly was born, I ran my own photography business and loved to photograph newborns. 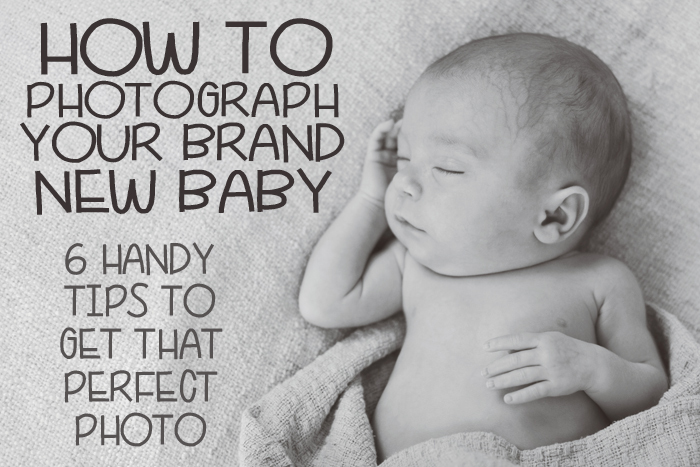 It took me a while to get the whole newborn thing down pat and now that I've had my own newborn, I can offer a few tips and tricks for getting that perfect photo! Whether you're using your mobile, a digital camera or am SLR, make sure you know how to use it! Before baby is born, take the time to learn how to use your camera using the manual modes. I use a Canon 7D Digital SLR camera and have spent many years perfecting the manual settings. I shoot my newborns using a 50mm 1.4 lens usually at around f2.8 to f1.8 depending on light. If you're using your phone or digital camera, turn the flash off! I promise your photographs will turn out much nicer. Prepare your baby! Make sure they are well fed, had their nappy changed and are nice and warm. I use a space heater to make sure the space we are using is warm so that baby is comfortable and sleepy - this is really important. If the room is too cool, they will be very uncomfortable but take care not to face the heater directly onto the baby. If taking nakie photos, I make sure I loosen the nappy about an hour beforehand so that there aren't any creases on their skin. 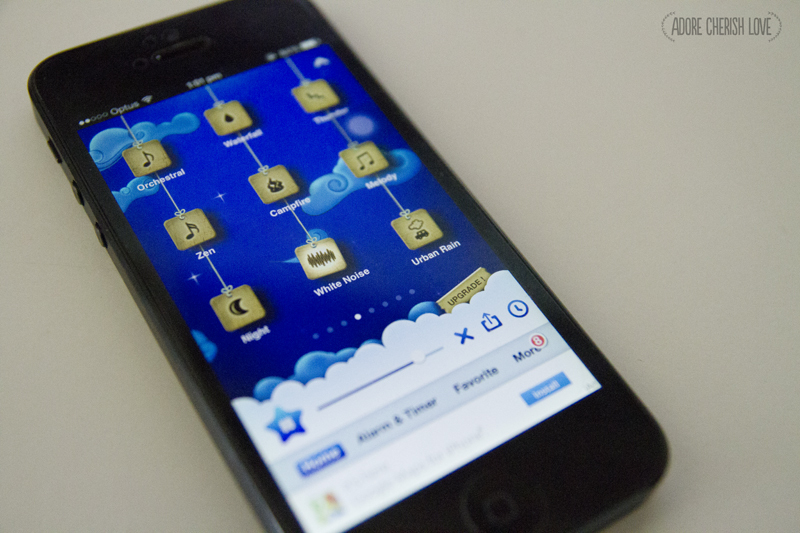 I also use a white noise app on my phone to remind the baby of the womb - it's very relaxing for all involved! You want to take your photographs in a nice bright room, preferably near a big window or door. I have a newborn posing beanbag and backdrop stand which I use but these can both be made from everyday household objects. I used to use a beanbag that I firmed up using a rubber band underneath and a blanket draped over the back of two chairs. It also pays to have a quick clean up of anything in the background if you are aiming for more journalistic looking photographs. While this photograph isn't perfect, it shows that a quick clean up of your area can make a world of difference. I also like to run a few actions over my photographs before I save them into my 'keep' folder on my computer. 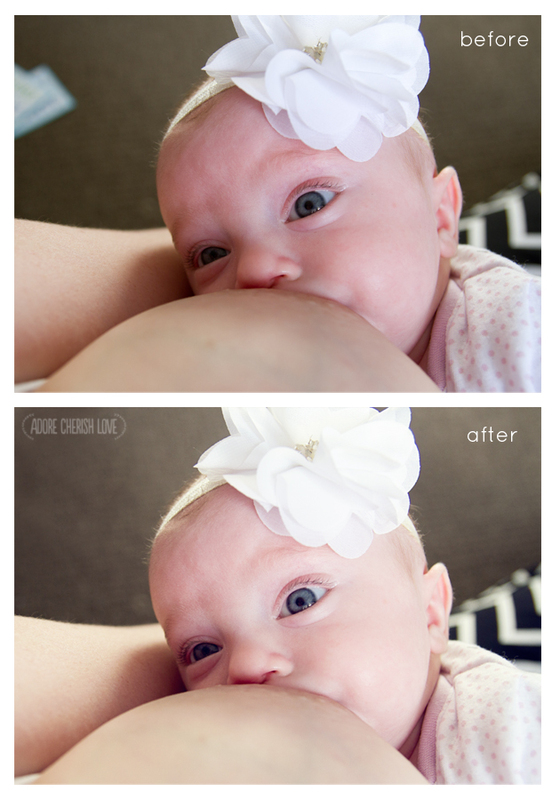 I prefer to use less props and focus more on the baby. I try to use neutral coloured blankets to drape over the beanbag so that the photographs will work in any room no matter what the colour scheme is. I also prefer simple, natural poses. 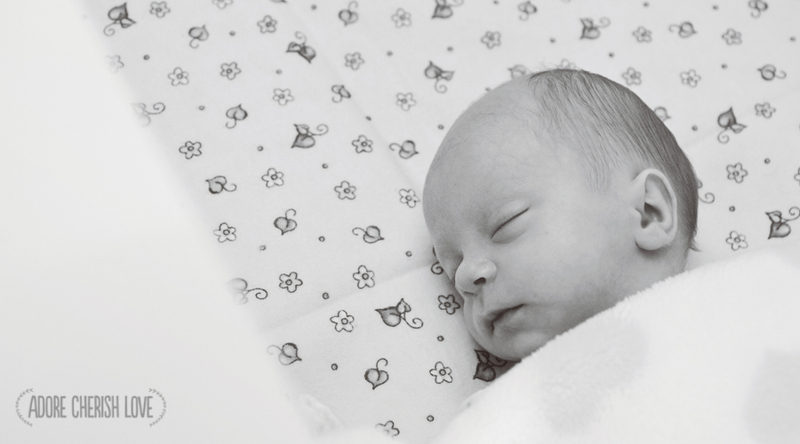 I am starting to enjoy documentary styled newborn photographs more than posed ones. I also love the timeless look you get from black and white photographs, especially if your background is a bit cluttered or busy - it takes the focus away from that and back to the baby. Try to take your photographs when you have somebody around to help you. Always pose your baby safely and never leave the baby alone. 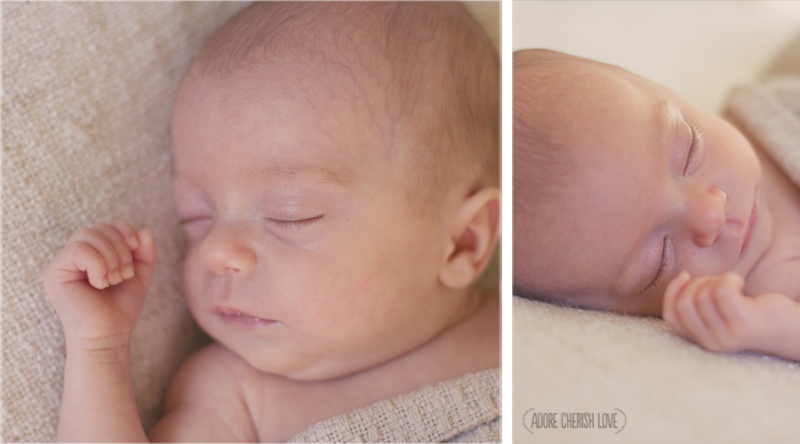 A lot of fancy newborn photographs involve composite shots where the photographer takes two photographs and merges them together. Never hang a baby and always research those cute poses that look too easy to be true - they generally have hands Photoshopped out to keep the baby safe.